Our Photo of the Week (POTW) was taken by Yuri Beletsky, using a Canon 5D Mark II camera and a Canon 15mm/2.8 fisheye lens. The image is actually a panorama consisting of two stitched images. Exposure time for each panel was 30 seconds. The raw images were stitched using PtGui software, and further color processing was done in Photoshop CS5. Yuri's biggest challenge was finding the proper shooting angle. "I've taken many images of the working laser guide star facility before, and this time I wanted something different. That night I was walking around the dome trying to find the right spot. At some point I approached the dome close enough that the laser beam, pointing directly in the direction of the Galactic center, was spanning far behind and over my head. The view angle was incredible and I realized that even a one shot with fisheye lens wouldn't be enough to cover it." 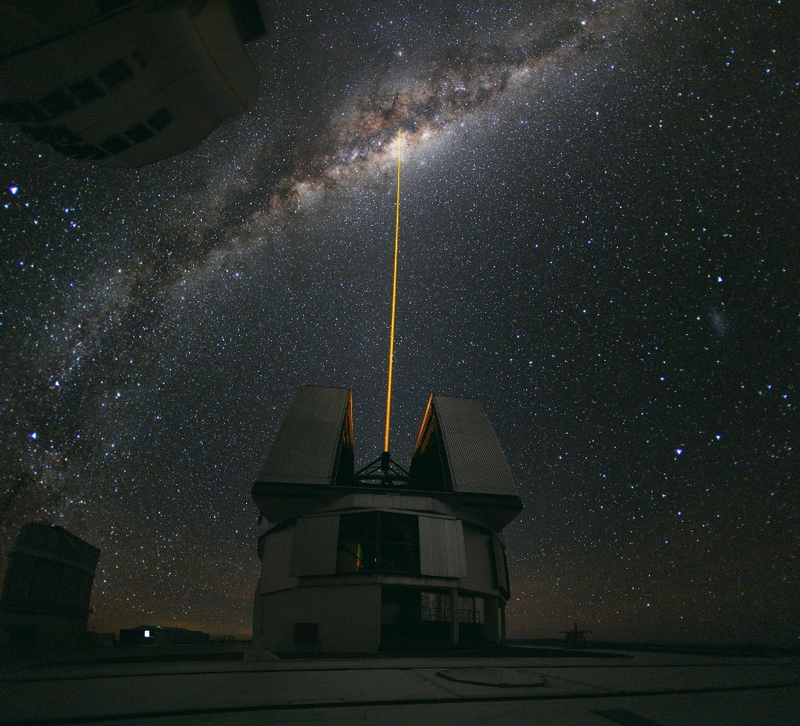 Because of the two-shot panoramic view, it looks like the laser strikes the Galactic center which appears to be at zenith. In reality, the Galactic center was setting over the ocean just behind the back of the photographer. One can also see another dome "hanging" in the upper left corner of the image. A Lesson Learned: This image turned out to be unique in many aspects. Although Yuri had taken many images of the same laser at night, countless times before, this time the composition turned out to be very special. The lesson he learned is that one should never stop exploring new fresh ideas, even in the places which have become so familiar. The image has since been published in many magazines, books, posters, used by companies. The photo has also been an Astronomy Picture of the Day (NASA APOD), and it was selected as Picture of the Year (2010) by Wikimedia Commons. Born in Belarus, Yuri now lives in Chile where he works as an astronomer at Las Campanas observatory of Carnegie Institution of Washington. Yuri has been an enthusiastic amateur stargazer since childhood. During his spare time at the observatory, Yuri likes take wide-field panoramic images of the Milky Way and other natural phenomena. Short snapshots deliver fascinating views of the surrounding landscape at dusk or dawn, while longer exposures produce breathtaking pictures of the starry sky. Images obtained by Yuri have been featured on popular websites, and in press releases, books and magazines. 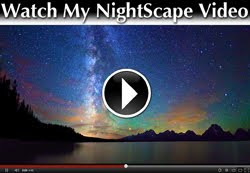 He continually shares his passions for astronomy and astrophotography with people around the world. You can see more of Yuri Beletsky's photography at his 500px website. Best Air in the World: The dark skies above the Atacama Desert provide a unique opportunity to reveal the majesty of our cosmos. Las Campanas, which hosts two 6.5-m Magellan telescopes, is one of four large observatories located in Chile's Atacama desert, the driest place on Earth. The conditions are excellent for astronomy because of the exceptional quality of the atmosphere. Not only are there more than 300 clear nights per year here, but due to very low turbulence of the air, they can obtain very sharp images, which is impossible to get in other places. That is why Chile is often called as "astronomical paradise" or "astronomical capital" of the world. Advertisement: Hot Weekly Photography Deals - Amazing discounts (updated twice a week).